The heating, ventilating, and air conditioning system or more commonly known as HVAC, provides homes and building temperatures that are comfortable for people. Maximum or minimum temperature is often set, which turns the system into thermostat mode, when that temperature is reached. During hot weather, the air conditioning is used to cool the temperature and during cold weather, the heating system is then used to warm the temperature in the area. The vents are where the air blows out in order to deliver this to the rooms or areas where the cooled or heated air is needed. HVAC maintenance is needed in order to keep the system running properly and prevent problems from occurring. 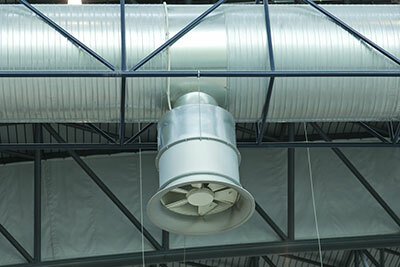 HVAC systems have common components, which we will go through in this post. The furnace is the main control in the system where the cooled and heated air is produced. It’s often installed somewhere that is not visible in the house like the attic, a closet space or basement. The evaporator coil is then what manages that cooled air, which is transferred to the vent, travelling through the ducts to be distributed in the different areas of the home or building. The heat exchanger is what manages the heated air, which is also blown out to the vent and ducts to reach the areas where vents are placed. The vents are the opening where the air enters and exits. The air duct is where the air travels to reach its destination. Air circulates several times within the system throughout the day, which is why dust and dirt may go with it and stick on the ducts. The specialists from "Air Duct Cleaning Sausalito" recommend air duct cleaning to prevent dirt build up. Filters are also used to trap dust from getting in the ducts. Air filter cleaning is also recommended as it may affect air quality if it’s already full of dust and dirt. The condensing unit is installed outside the house or the building, where air from the outside is cooled and moved to the evaporator coil to be distributed once more to the whole house or building. Another component is the refrigerant lines. These are tubes made of metal connected from the condensing unit with the evaporating coil. There’s also the thermostat, which has a sensor that determines the temperature. If the thermostat temperature is achieved, it will automatically turn off the HVAC system to save on energy. Once the temperature goes up or down the preferred setting, the thermostat turns on the HVAC system again. During the maintenance of your system, HVAC unit cleaning is completed. If there are any damages on the components of the unit, HVAC unit repair must be done immediately to prevent bigger problems from arising.